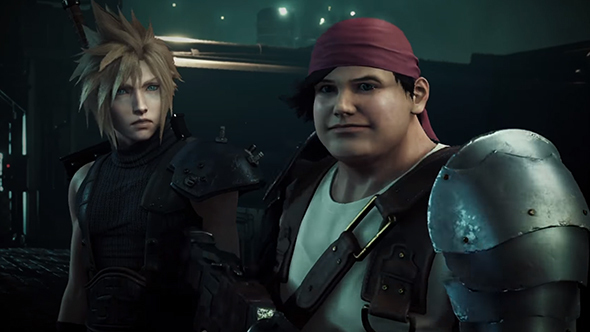 The director of Square Enix’s Final Fantasy VII remake says he feels that the game was announced “too early.” Game director Tetsuya Nomura addressed fan disappointment after more information about the game was not revealed at E3 earlier this month. The remake of Final Fantasy VII was first announced over three years ago, at E3 2015. Since then, despite a warm reception and plenty of fan enthusiasm for the project, Square Enix are yet to provide any new information about the game’s release. On top of that, it’s now been three years since that initial reveal – three E3 showcases have come and gone, and fans are yet to hear anything more. If you’re a fan of the classics, check out our list of the best old games you can play on PC. Nomura also stated that he felt that his other project, Kingdom Hearts 3, had been announced too early as well. However, new information that came out about that project at E3 earlier this month could mean that FFVII is currently in development alongside KH3. Last we heard, FFVII won’t be a simple remake, but in case it weren’t already clear, there’s basically no word on when that remake will finally release, so you could be waiting a few more E3 showings yet.